Sweet bike, but if you don't post a full driveside pic I'm going to have to ask to speak to your supervisor. will do when i change the pic sizes, just dont talk to my supervisor. I have a Mega Pro XL. 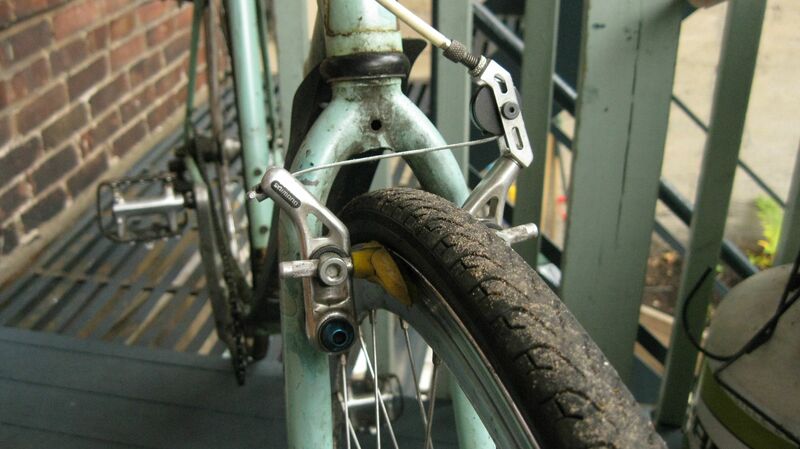 Can someone please tell me if the bottom bracket is Italian or English threaded. Should be English. There is no BB in it now? If so the threading should be on it but by the Mega Pro days Bianchi was using English. It may not have a plurality of gears, but this still belongs here I hope. for the winter & more ! It's getting 32c white/grey Vittoria CX tires and a plastic saddle as soon as the snow sets in -- and then it will look even better. Last edited by bloom87; 11-12-14 at 03:50 PM. Thank you Bianchigirll. Once I have worked out how to, I will post a picture. Ive heard stories of Mega Pro frames being fragile with a tendency to crack around the bottom bracket. I also have the understanding that this relates specificaly to the aluminium frames. Can anyone advise if this also applies to the boron frames? Thanks in advance, Matt. At the time I remember it happening with the Boron frames. I think that's why they started filling the seat-tubes with expanding foam. I wanted one of those frames in 2000 or so, but never got one. I've only read about it happening to the boron frames. I have a boron tubed mountain bike and the tubes are very thin. Had to have some repairs made because it was dinged and tweaked in the rear triangle, but no issues around the bottom bracket. In the photo you can just see where a reinforcing plate was brazed in at the brake boss. Sweet bike, I haven't seen another one on the internet yet. Can anyone identify the year of manufacture for my Mega Pro XL. The frame number is: WA8100112A, it is made from Boron with a decal that says 25CrMo4. Thanks for the advice Bianchigirll. Now that I have mastered this photo attachment thing, here is a photo of my 2013 Sempre Pro. No there is not much Celeste, but there is some I promise! I bought it a week before the Tour Down Under this year (January), and have ridden it about 1000 kilometres. I had been eyeing it off for about two months when I pointed it out to my wife while in store to buy her a saddle bag. I am still in disbelief but she said "why dont we buy it"! What a woman!! 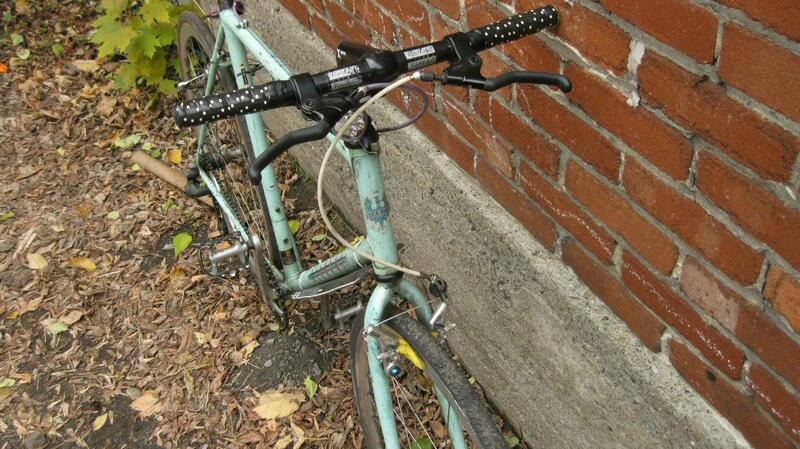 It was the last Bianchi the store had as they now concentrate on Trek and Cannondale etc. Because of this I managed to get it for $3000 AU, rather than the normal retail price of $4400 AU. This bike is a bit of a custom build as it has FSA carbon crankset with Ultegra groupset. This is not a standard build in Australia. I am very happy with my Sempre Pro as you can probably tell. Last edited by Valiant75; 11-22-14 at 04:23 AM. 1981 Bianchi Campione Del Mondo - Columbus Tretubi Tubing - Probably 3 main tubes SL with Falck forks and stays. Bianchi Formula Two Tubing - Probably a mix of Columbus SP and SL tubing. 1990 Bianchi Mondial - Fits and handles perfect - ride is a little stiff due to Columbus SLX tubing. Last edited by verktyg; 11-30-14 at 12:37 AM. Sold but not forgotten ! 1983 Bianchi with Campagnolo 50th Annniversary components. I have the pedals in the original box and they are unused. I am missing one toe clip. Your Welcome. Is that a steel fork? The grphics would put this around '99-2000ish but the fork doesn't match the catalog speccs for '99 and I am missing the 2000 and 2001. How about a few more pics? This appears to been sold as a frame only and there is no mention of 'kits' in the catalogue. I know when I bought my '99 MegaProXL Ti I ordered a kit from QBP so I am pretty sure Bianchi had given up the kit game by then. 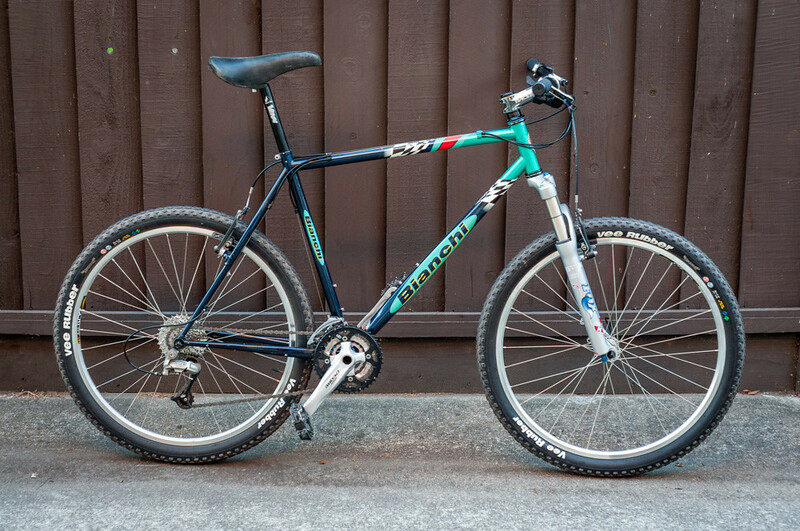 1987 Bianchi Giro - Fits and handles great but rides like a truck, probably due to the Bianchi Formula Two Tubing The Formula 2 tubes and Victory would make this an '88. I loved the ride of my '88 Trofeo with Formula Two but alas it had to go. Bianchi Formula Two Tubing - Probably a mix of Columbus SP and SL tubing. I'll have to look for a PM from T-Mar a few years ago. I believe he said these were thought to be a SL and Alle or CroMor mix. They used the same frame on 4 of the Italian bikes in '86, 5 in '87 and 3 in '88. I think they would have been hard pressed to get a SL/SP bike down into the $600 price range. 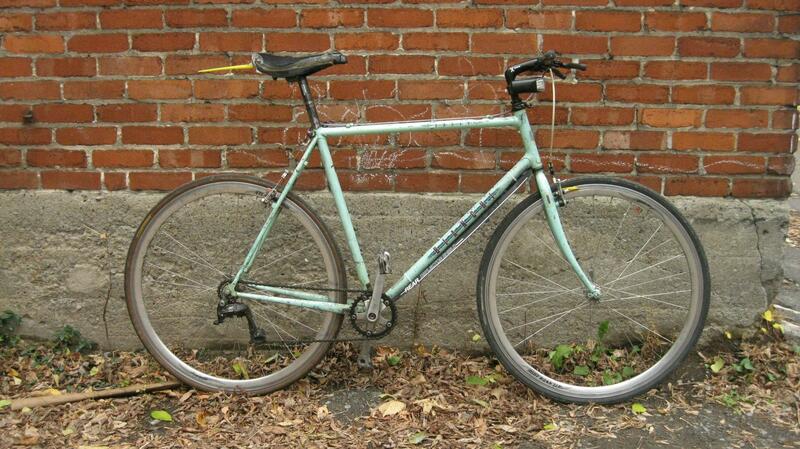 1990 Bianchi Mondial - Fits and handles perfect - ride is a little still due to Columbus SLX tubing. All I can say is BEAUTIFUL!! Bianchi girl can you tell me how you succeded in removing the terrible-era BIANCHI decals on your CX frame ? That makes some sense to me Bianchigirll. The guy at the shop I bought it from, said that the previous owner was the Australian importer/distributor for Bianchi. Apparently he bought this frame direct from the factory and built it up as his training bike. Dont know what groupset he had on it, but I'm building it as a Record 10 speed. Yes the forks are steel, I will post a bunch of photos when I get a moment. It's a perfect morning for a ride on my Sempre Pro, so I am out of here! Mine weren't under the clear coat so I used the hotel's blow dryer and some stuff like goo gone, alcohol, (the rubbing kind) and other stuff. But the big thing is patience. If they are under the clear, which is possible on a bike built in the orient, you might not be able to.